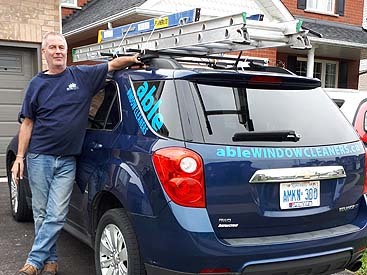 Able Window Cleaners is a professional window cleaning company providing service to residential homes, commercial stores and industrial clients in Oshawa, Ontario, Canada. which was built on hard work and honesty. to work at the family business. 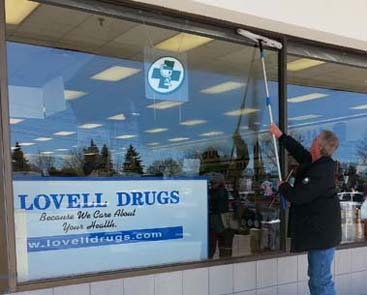 providing professional window cleaning to lots of happy and loyal home, store and commercial customers. 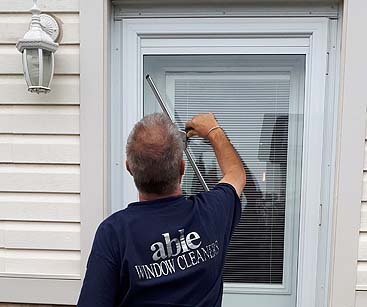 We clean windows on the inside, outside ... or both! we wipe down window frames, ledges and screens as part of our standard service. We service residential homes, condominiums, apartments and commercial customers ... all year round. one door and one large window to be cleaned. and our best advertising IS OUR CUSTOMERS! Q. Do I remove window coverings and move furniture away from windows to be cleaned? A. Absolutely not. We take care of that. Sit back and relax! Q. How often should my windows be cleaned? windows cleaned inside and out in both the spring and fall. Store windows are cleaned as required. Q. Can you give me an estimate over the phone? A. No. We estimate all work when we can see the work required. Q. Do I need to have both the inside and outside of my windows cleaned? A. No. My services are based on what you feel you need. Monday - Friday 8:00 A.M - 6:00 P.M.
Saturday 9 A.M. - 2 :00 P.M.
or email as quickly as possible.